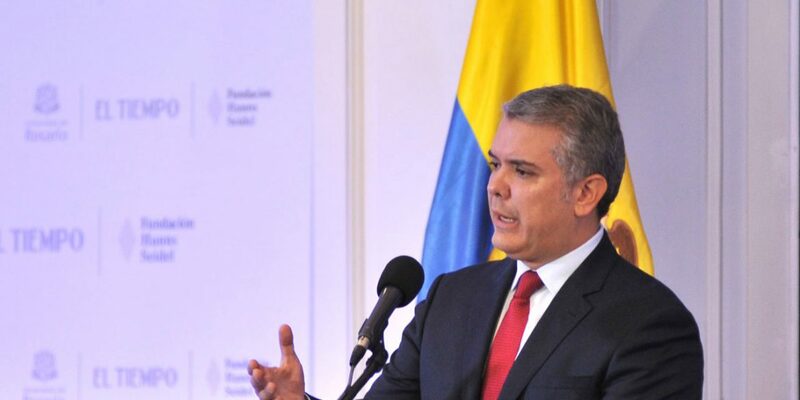 The approval rating of Colombia’s President Ivan Duque dropped to 29% between February and April, according to pollster Datexco. The poll was released on Friday and indicated that the vast majority of Colombians, 64%, disapprove of the president and his hard-right policies. None of the government’s policies were approved of by a majority, according to the poll. Duque’s tax policy to cut taxes on corporations while raising taxes that affect the lower and middle classes were disapproved of by 85% of the people polled by Datexco. Forty-six percent said that their economic situation has worsened because of the the government’s economic policies. Only 7% said their economic situation had improved. Eighty percent said believed the government’s labor policies are failing. Eighty-three percent of the people who were polled disagreed with the government’s security policy and 73% said they disagreed how Duque is handling the country’s guerrilla threat. The government’s policy to combat corruption is disapproved of by 81% of Colombians, according to the pollster. Duque is particularly unpopular among young Colombians, according to Datexco. Only 12% of Colombians between 18 and 24 years old approve of their president and only 24% of Colombians between 24 and 34 approve of Duque.